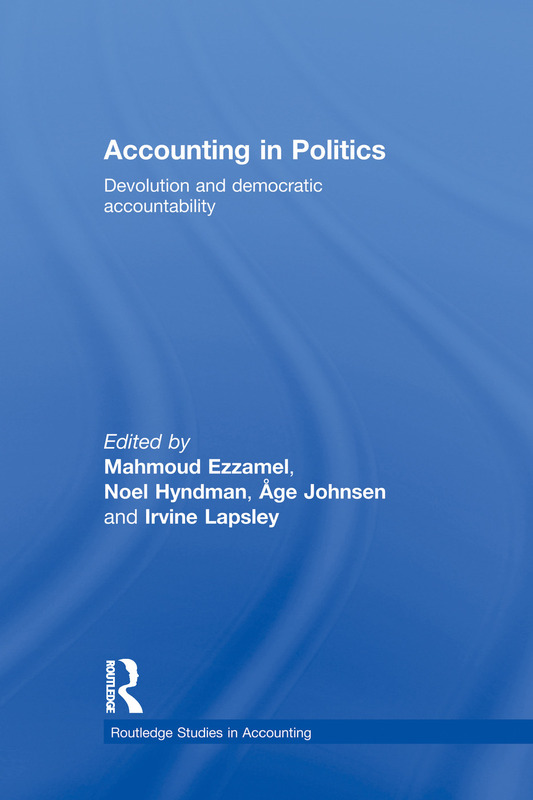 This book looks at the effectiveness of the 1999 restructuring of the UK through the establishment of the Scottish Parliament and the Assemblies for Northern Ireland and Wales, considering the process of devolution and its consequences on the key mechanisms of accounting and democratic accountability. Many of the chapters in this book examine whether devolution is enhancing democratic accountability, or creating a fragmentary state with conflict and tensions between the Westminster government and the devolved bodies. The focus is on the financial mechanisms for democratic accountability both in the UK and in international comparator countries (New Zealand, Norway, and the US). This book examines the turbulent pattern of relationships between central and devolved government and explores whether the present arrangements for devolution in the UK represent an end game, or whether they may be merely a stepping stone to a more fully fledged federal state. It is argued that the main thrust of many of the financial reforms in the UK has confounded, obfuscated, and complicated the desire for democratic accountability. "Accessible and well-written, this is a useful and accessible text for undergraduates and post graduate students of public administration and management, plus those with an interest in public policy more generally. Moreover, this book also has much to recommend it to the established scholar interested in contemporary issues in public administration and management, while also of note for students of all levels interested in devolved government in the UK." Mahmoud Ezzamel is Professorial Fellow of Cardiff Business School. Noel Hyndman is Professor of Management Accounting and Director of Research in Accounting at Queen's University Management School. Åge Johnsen is Professor of Public Policy at Oslo University College. Irvine Lapsley is Professor of Accounting and Director of The Institute of Public Sector Accounting Research at the University of Edinburgh Management School.